There was a time when DVDs were the best way for entertainment. DVDs brought us the best-quality video and audio at the same time. Now, however, DVDs have become somewhat obsolete. Of course, there are a few serious downsides, such as inconvenient storage requirements and lack of durability. So, you better have to Copy DVD if you want to access your content later. Copying all the DVD folders isn’t really the clever option. It takes up a lot of space, and doesn’t customization. And, that’s why you need an effective DVD Copy Software to do this. In this article, we have listed the best DVD copy software 2019 you can rely upon. DVDFab DVD Copy brings all the best features you’d need for copying DVDs. It offers six modes for DVD Copying, such as Full Disc Copy, Main Movie Copy, DVD Cloning, Merging, Splitting and Customizing. Out of the all DVD Copiers we had tried, DVDFab brought the best speed and performance. DVDFab also supports different input sources such as DVD Discs, ISO File or DVD folder you’ve copied earlier. According to users, DVDFab works well with scratched discs as well. The offered features are top-notch and the whole UI works seamlessly on most devices. Wider media support and encoding options are truly a blessing for professionals. It offers a free version, but you may need to get the premium version. In short, DVDFab DVD Copy is the best DVD copy software you can get now. DVD-Cloner is the perfect solution for 1:1 DVD Copying. It’s not that you cannot get other features in this package. However, you can have the best-of-the-best output quality in the 1:1 Mode. In addition, you have options for Movie Complete Copy, Movie Only Copy, Split-DVD Copy, Customized DVD Copy and dedicated option for Blu-Ray to HDD Copying. Depending on the version you purchase – Gold or Platinum – features may vary. For instance, DVD Burning is available in Gold version only. Some users, however, say that DVD-Cloner is complicated in some aspects. For instance, if you’re trying to save the files to HDD, there might be some extra steps. That having said, for the price you’re paying, DVD-Cloner gets the job done. Another popular name in DVD Copying Software world, WinX DVD Copy Pro is also offering free and premium options. 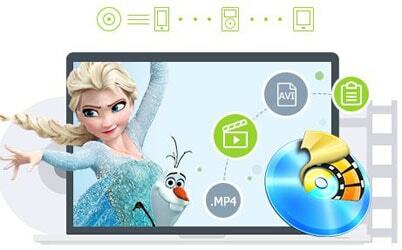 Using this software, you can copy one DVD into another disc, ISO file or an MPEG2 File. In short, you can make sure that the DVDs are pretty much reusable in any context. Thanks to the inbuilt burner, you can also create DVD Discs out of virtual ISO files. One thing that we loved in WinX DVD Copy Pro is the ability to decrypt DVDs and remove country codes. Coming to the cons, WinX DVD Copy Pro has a rudimentary User Interface. It also lacks different copying modes. However, considering the affordable pricing and support for damaged discs, we’d say it’s worth going for. 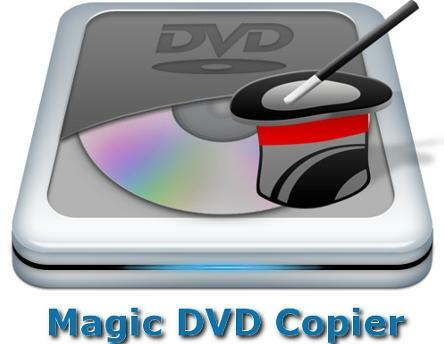 Magic DVD Copier is an easy-to-use solution for copying DVDs to different formats. It not only lets you copy all DVD contents into the Hard Drive, but also to copy an entire DVD into a blank disc. One other feature that we found awesome there was the ability to compress DVD9 Movie into a 4.7GB Movie. This is great if you’d like to reduce the size, without much of quality-loss. Also, there is the basic customization when it comes to choosing the movie titles and chapters that you want to copy. While we did not find many cons with Magic DVD Copier, there aren’t many advanced features, except for the compressing option. It’s also quite affordable than other choices. Viewing things from that perspective, we find it up to the mark. Aimersoft DVD Copy is available for Windows PCs and Macs, offering the superb performance and features. Unlike many of the competitors, Aimersoft DVD Copy lets you copy DVD into compatible formats. You just have to select the desired device, to do the conversion. Also, you can freely select the optimal copying mode as well. There are options for Main Movie Copying, Split Copying and Compression Modes. In short, this tool offers almost all the standard options you’d expect from a DVD Copy software. There aren’t any noteworthy issues in Aimersoft DVD Copy. It does the job very well, thanks to the intuitive User Interface it uses. Although all the features are available in Mac and Windows, there is a slightly better performance if we take the case of Mac. Coming with an affordable price tag, Tipard DVD Cloner is one of the best DVD copy software in town. If we speak from the technical perspective, Tipard DVD Cloner is a DVD Cloner, but you can do almost all types of copying. For instance, it lets you backup DVDs into the Hard Drive as well as to burn the DVD backups you’ve already made. The support for different DVD types – DVD 5 and DVD 9 – is also impressive for its price tag. You also get customizable modes of copying. Using Tipard DVD Cloner would be an easy task, for everyone. If not because of the better speeds, we’d love it for the wide variety of features. 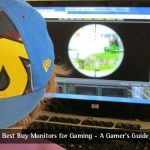 At the end of the day, you spend less money to get a full lot of options for DVD management. 1Step DVD Copy can be called the simplest DVD Copy software in the market. It’s actually available as a part of SoundTaxi Media Suite. That is, for a lower price, you can actually get a bundle of utilities. However, if we take the case of the copying program, the whole process is simple. In a single click, you can rip, copy or take backup of a DVD. For those who have no experience with DVD Copying and ripping, this is the optimal tool for sure. On the other hand, 1Step DVD Copy compromises in terms of video quality and conversion options. There’s not much support for diverse inputs and outputs. 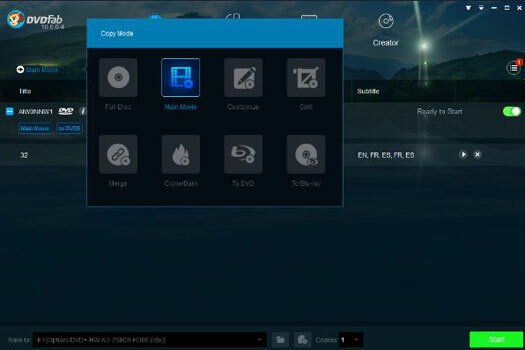 Still, considering the options of customization, we’d say it is an awesome package for media enthusiasts. These are 7 of the Best DVD Copy Software in the 2019 market. We’ve tried to add different varieties of DVD Copying and backup solution. We believe the selection would help you get the best package for your customization – or simplicity – needs.